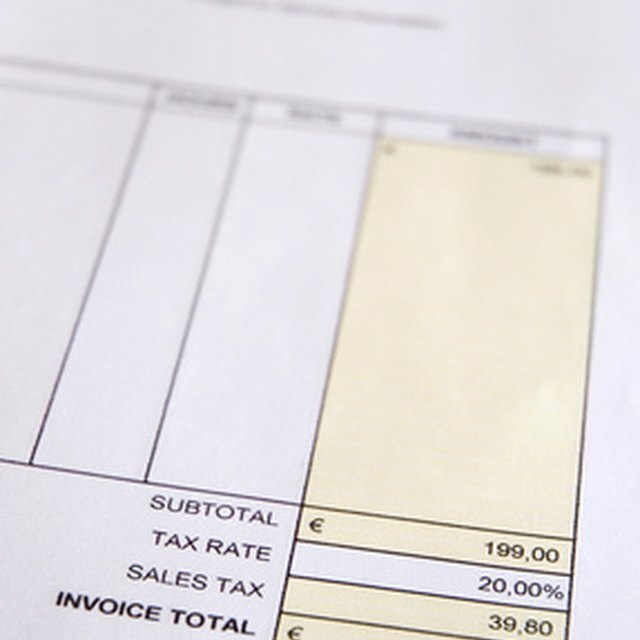 Creating a custom receipt for a business transaction gives you proof of the event and paperwork for your records. Custom receipts can be created on your computer using receipt templates. These receipts are available on your computer and in online template galleries. Microsoft, OpenOffice, and Google all have receipts available for download. Once the template is downloaded, it can be customized to your needs. This can include your logo, text, and specialized product codes. Select the “File” tab and select “New.” Click “Receipts” in the left task pane. Review the receipts that appear. Click a receipt to see a preview in the right task pane. Download a receipt by clicking the receipt image and the “Download” button in the right task pane. The template opens in Excel 2010. Update the logo section by right-clicking on the default logo and selecting “Change Picture.” Browse your PC for the logo you want to use. Click the logo and the “Open” button. Your logo replaces the default logo. Highlight the default text and type your customized information it. This includes the address, product details, and customer messages. Save your changes by clicking the “Save” icon on the Quick Access Toolbar. Access the Google Documents template gallery. Type “Receipt” in the search box. Click “Search Templates.” Review the templates that appear. Download a receipt by clicking the “Use This Template” button. The template opens in Google Documents. Delete the default logo by clicking the logo image and pressing the “Delete” key on the keyboard. Add a new logo by clicking “Insert” and “Image.” Browse your PC for the logo you want to use. Click the logo and the “Open” button. Your logo replaces the default logo. Highlight the default text and type your customized information it. This can include the address, product details, and customer messages. Save your changes by clicking the “Save” icon on the menu. Access the OpenOffice template gallery. Type “Receipt” in the search box. Review the templates that appear. Download a receipt by clicking the “Use This” button. The template opens in OpenOffice Calc. Delete the default logo by clicking the logo image and pressing the “Delete” key on the keyboard. Add a new logo by clicking “Insert” and “Image.” Select “From File.” Browse your PC for the logo you want to use. Click the logo and the “Open” button. Your logo replaces the default logo. Highlight the default text and type your customized information it. This can include the address, product details, and customer messages. Save your changes by clicking “Save” on the menu.